A memorial service to honor the life of Jacky Wayne Pace will be at 7 p.m. Wednesday, Aug. 8 at Blanchard-St. Denis Funeral Home. The family will receive friends from 4-9 p.m. Wednesday at the funeral home. Following the memorial service all are invited to the Pace residence at 714 St. Clair Ave. for food and refreshments. Dr. Jacky Wayne Pace, 73, of Natchitoches passed away at Cabrini Hospital in Alexandria Aug. 3, 2018, after suffering a heart attack July 23 while attending his beloved animals in Powhatan. Jack was born Jan. 20, 1945, in Bragg City, Mo., to William Ashley and Mary (White Clark) Pace. Jack attended the University of Missouri, Columbia, Mo., where he earned the BS and MS degrees in animal science and a doctorate degree in animal genetics. He was a member of the Honor Society of Agriculture, Gamma Sigma Delta. Between his BS and MS degrees (1968-1970), Jack served in the United States Army as a communications technician in the Republic of Germany. He attained the rank of Sargent E5. After completion of his military service he returned to the U. of Missouri where he completed his doctorate degree. In 1974, he joined the faculty at Northwestern State University, Natchitoches from which he retired after 41 years as Professor Emeritus in 2015. In 1966, Jack married the love of his life, Bonnie S. Franzen. He is survived by Bonnie; two sons, Jacky Ray and Wesley Ashley; three grandchildren, Morgan Pace, Collin Pace and Camden Litton; two brothers, Elton Ray Pace, William Ashley and wife Maxine Pace; a sister, Carolyn Henson and husband Elvis. Jack deeply loved his wife, children and grandchildren and dedicated his life to serving and supporting them. He was kind-hearted, had countless friends with whom he loved to play cards, and loved to tell jokes in a way that had you believing the story was true, then suddenly tricked you with the punch line. Jack was a dedicated leader in all aspects of his service in education, agriculture and to his community. He had a great love and support for the National FFA Association. During his 41 years at NSU he taught animal science and preparatory classes for the nursing curriculum, served as Department Head of Agriculture and the Biological Sciences Department and served as advisor for the NSU college Rodeo Team and the NSU Vet Technology Committee. Through the years of teaching at NSU, Doc touched the lives and inspired many hundreds of his students to become nurses. During his last days at Cabrini many nurses there who were his prior students came to see and comfort him. Jack unselfishly contributed to the Natchitoches community by serving on the Natchitoches Parish Police Jury, Natchitoches Parish Fair Board, Natchitoches Parish Farm Bureau as a Board member since 1979 and also served as a former president (and was recently voted on to the State Farm Bureau Board), the Natchitoches 4-H board, the Natchitoches Jaycees and was past Master of the Masonic Lodge and Shriners. 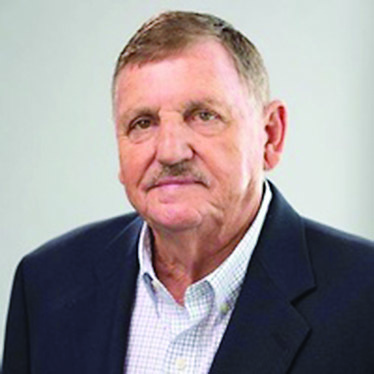 He also served on the Louisiana Livestock Steering Committee, the Arklatex Ag Council and served as former president of LACTA, State Chairman (Equine Division) Morris Animal Foundation. He was a member of the American Society of Animal Science and the American Genetics Association. Jack also served as a cattle and equine judge for Delta Dixie, Louisiana State Fair, Louisiana District Shows and judged cattle and advised cattle ranchers internationally in Honduras and Columbia. Jack owned and operated Pace Farms with his son Wesley. Jack received many other honors and commendations: Who’s Who Among American High School Students, 1977 Outstanding Young Man of America, and the C. William Broomfield Memorial Award, Honorary State Farmer Degree, was a Louisiana Master Cattleman and was a gubernatorial appointee as an advisor to the Sparta Groundwater Conservation District. In lieu of flowers, the family asks that contributions can be made to the Jack Pace Memorial Fund for future support of a scholarship fund in Jack’s name. Next articleARTIS CURTIS MASINGILL JR.